1.Five levels of control:General control(Master card), building control, floor control, area control(Staff card) and room control(Guest Card). 2.Password control:System password and operating password together to ensure security. 3.Cipher coding to key card:Each card has a different code that cannot be copied.Compulsory decoding will destroy the card automatically. 4.Area control:Cards of different types and levels can open different locks in different locations. 5.Timing control:Working clock is set inside locks to control the effective time limit of card keys. 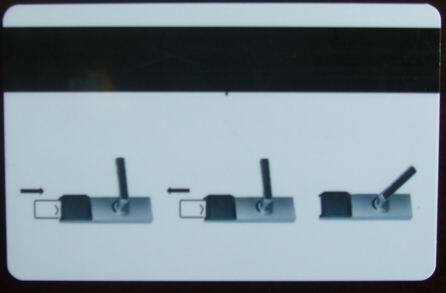 6.File record:All issued card keys have records including each opening(also mechanical key opening). 7.Loss reporting:Open function can be cancelled when the card is missed. 1.Power Supply:DC6V, use of 4 pieces of No.5 (or No.7) AA batteries, with lack of voltage indications. 4.Lifetime of battery:For the allowed door open times, it normally can exceed 20, 000. 5.Record inside the lock:512 lines for standard type. 6.Setting Requirement:Working temperature -20ºC~70ºC, humidity:98%max. 7.Anti-static Electricity:15, 000V, it ensures information inside the lock not missing under the interference of strong static electricity.